As a business owner, you may feel like you always have to take on the hardest projects yourself. However, there is a certain value in learning to delegate. 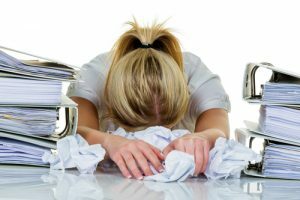 The same is true for your personal responsibilities; occasionally, outsourcing particular tasks can provide you with much more time for yourself, greatly improving your mental health. Here are some ways you can use delegation to achieve new goals in your career and beyond. For professionals, it is extremely easy to take on too much. You may believe that your coworkers or employees are not capable of following through with a particular project in the same way you can — and, in some cases, you may be right. However, you have employees to ease the burden and to allow your company to accomplish more as a whole. Plus, if you are overburdened, your overall efficacy diminishes. This is why it is important for you to regularly delegate. However, this doesn’t mean you are simply passing off a less important project. Delegation means you are freeing yourself up by allowing another talented individual to take up the work. Not all delegation has to be done in the workplace. Sometimes, the simplest acts of delegation in private are the most effective. Start with your house — ask yourself how much time do you spend cleaning your house, mowing your lawn, or walking your dog each week. Then consider how much stress those daily chores add to your already-burdened load. In order for you to find enough time to take enough care of yourself throughout the day, it may be worthwhile for you to hire a person to clean your house and maintain your lawn. You can also hire a dog walking service to exercise your pooch. Not only will this ease your mind and free up a good portion of each day, it will also give you the peace of mind that comes from a reduced amount of things to do later in the day, enabling you to be more focused and effective at your career. 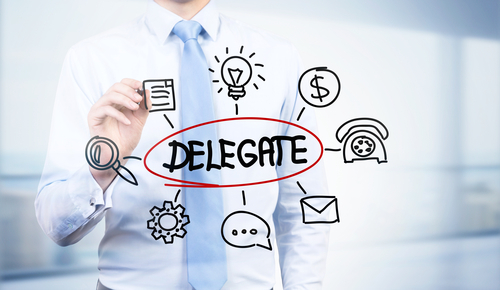 In order to delegate effectively, there are several things you must do. First, realize that perfection is generally unattainable. Just like painting or music, business is an art form, and it can be tempting for any artist to never release control. However, at some point, a piece of art has to be finished — and the same is true of workplace projects. As long as the results meet your established standards of quality and are completed in the required timeframe, the project is a success — no matter who ultimately completes it. Similarly, if you provide a complete set of instructions, there is no reason why your employees will not be able to complete the work, in the same manner, you would. Set several days and times in advance for you to check in on the project, but be sure not to spend all your newly freed time worrying about the project’s progress. Finally, show your appreciation for the employees who have taken on the project. Delegating tasks can be a natural way for you to hone your employees’ skills and identify which employees may be prepared to handle greater responsibilities in the future. You will still encounter stressful situations from day to day, but by enlisting other people to help with your overall burden, you will significantly increase your ability to manage stress when the need occurs. By giving up control in certain small areas, you are allowing yourself to regain control of your greater mental health. 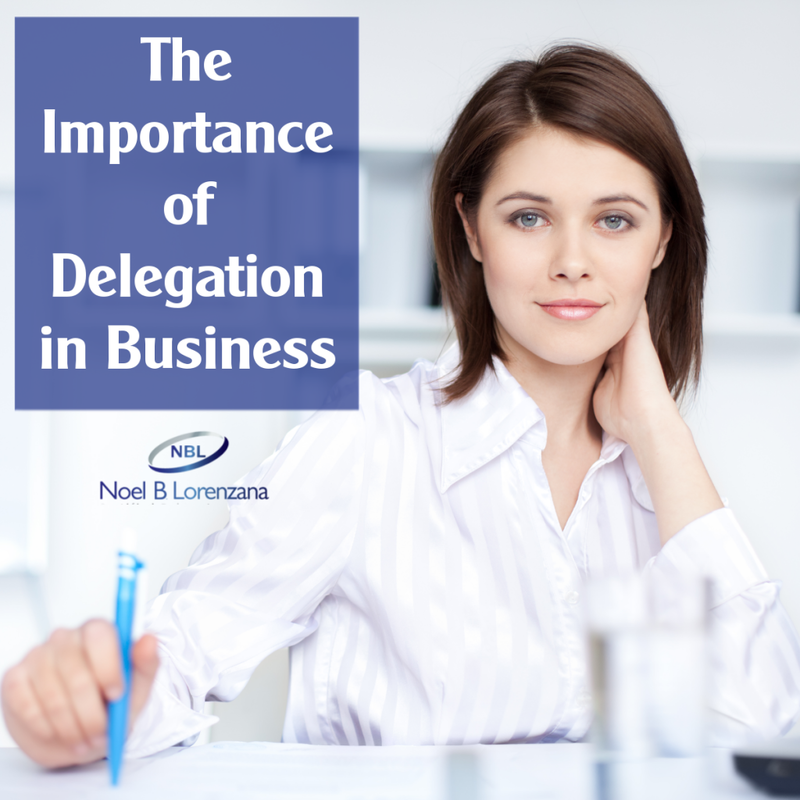 If you enjoyed this article on The Importance of Delegation in Business, please like and share. 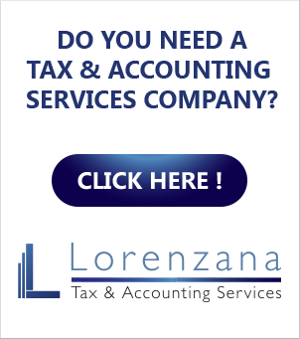 How Does the New 20 Percent Pass-Through Deduction Apply to Your Business?